Do you do custom designs like station mascots or pictures?  Smoked Leather is geared toward traditional shields in how they are hand-tooled and in original FD appearance with rocker panels and numbers. Due to the demand of these traditionals, we have stepped out of the custom shield market. We do however offer Dept. Monograms (letternests) and the FD Scramble as an option, but other than those we just do numbers and bugles in the center. Check out Tryworks Leather for some amazing detailed custom work like station mascots. What’s your turnaround time per shield? Our incoming orders fluctuate often so we give a lead-time of around 6 to 8 weeks per shield, not bad for the amount of detail it takes to create them. Over 650 individual tooling impressions to make just one. Do you give discounts for multiple shield orders or departmental orders? The process of making just one shield is so time consuming that we can no longer give discounts for departmental orders. If we used machines with stamping plates or laser printers we could give discounts, but in our special case – we’d rather stick to 600 mallet strikes to make just one. Are your pieces made by machine or computer systems? No, We individually tool each piece of work in the same fashion that western saddles are made; all by hand and proud of it! Over 650 hammer strikes and impressions to make one smoked leather shield. What size do your shields come in? Our shields are 6 ½ inches in height with the optional cut-out notch that will fit a 6 ¼ inch placement. Width at the fastening bolt space is about 5 1/2 inches sitting 2 inches off the bottom. I have a unique helmet that only holds a certain shape shield, will you make one for me in your style? We are currently only doing our shape and size shields, as we proceed with new designs we will post their arrival and availability. The reason is the demand we have for the original design vs. the amount of people working on each one. We do have other styles on the workbench that are still in the design phase, so please stay tuned. My buddy Joe over at TryworksLeather.com said it best in his FAQ’s: “The short answer is no. …neither are your bunker pants, gloves or mask. Remember your shield is a piece of leather being worn at the highest point on your body. Most of my shields have seen more than their fair share of work and they hold up great, but please do remember that your shield is a decorative piece of leather and not a steel door… leather will burn if you stick it in a flame so try your best not to do that. My best advice is not to wear your custom shield into a training burn or flash simulator, but don’t give it a second thought if you’re just doing your job”. Do you really smoke your shields? No we don’t, that would be really weird if we did, Smoked Leather is just the name of the company. The term smoked is used to describe a specific skill that my cousin Ivan has in his artistic arsenal when he captures depth and manipulation of light through paint (as shown in most of his artwork). The style is what is known as a “fade-dye” or taper-stain”, when added (optional), the taper-stain on top of the paint gives the leather an aged antique look. How Do I Order & How Much? Pay through PayPal, we don’t keep or store any Credit Card information. You don’t need a PayPal account to pay through PayPal. That is pretty much it …. if your still having issues just email me. How thick are your shields? 1/4″ thick is the average, some are just a tad bit thicker.